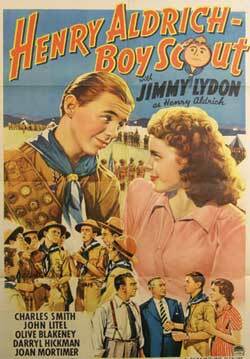 As a boy scout leader, Henry, repeatedly takes the blame for problems caused by a competing scout in his patrol and a Peter, the problem child of a wealthy father. An absorbing and totally heart warming tail of boys and honor. One of the best of the entries in the Henry Aldrich series. Starring Jimmy Lydon and Charles Smith.